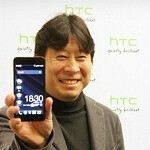 Kouji Kodera, Chief Product Officer at HTC, is an integral part of the shift in strategy for the company. The company is poised to make a comeback and has recently released some remarkable handsets. When asked about purported design similarities between the Windows Phone 8X and the Nokia Lumia 920, Kodera was easily able to say there were basically none. When looked at side-by-side, that is largely true. He did concede though that in the area of “fashion” there are not that many sources actually involved when it comes to colors and materials involved. For Android, HTC is very proud of Sense, and “we’d like to continue shipping it on every device.” That may be an indicator that HTC may not be too involved in future Nexus lineups. That may not be all bad, as devices like the HTC One X were excellent performers and the new models are building on the momentum. 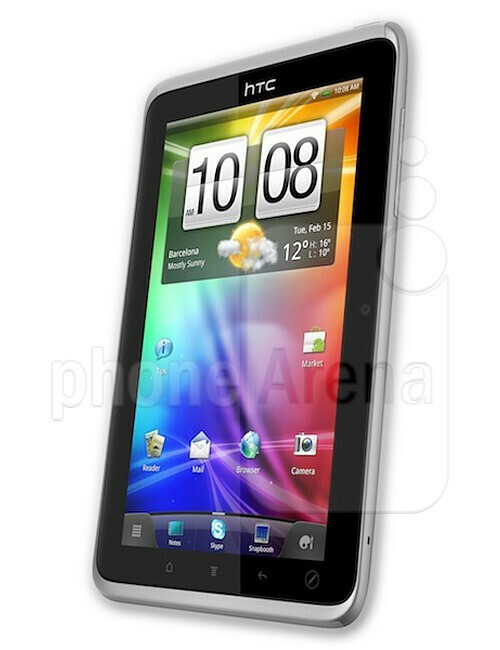 We have not seen much from HTC in tablets since the Flyer. On the tablet front, HTC does not have any product in the pipeline that Kodera was able (or willing) to talk about. Several concepts were shelved since the HTC Flyer and Jetstream. Looking forward, in light of the nice specifications coming from HTC products, particularly in displays, Kodera thinks that size-wise, 5-inches is probably the practical limit for a smartphone (assuming that larger displays are more "phablet" sized. However, we will be seeing higher resolution on smaller panels and pixel density is going to continue to rise across the board. As expected. However, despite the corporate like, how could one not see the similarities between the Lumias and the WP8X series? In the ads the only quick way to distinguish which is which is seeing if the front speaker grille is colored (indicating the HTC), or what shape the camera enclosures are on the back. Up close it is easier, but still alarmingly similar. More power to Nokia for making an inspirational device line. Lumia and HTC 8x kind of were launched back to back, so HTC couldn't have copied the design in such short time could they? And maybe you are forgetting the curved design of HTC vs the straight edges of lumia. I don't think WP helped HTC substantially increase sales, the key factor is HTC beat evey1 else with first 1080p phones. And does Android need advertising? WP surely does. Wow, I was actually just about to comment and say that. While it does seem nice that Microsoft puts in advertising dollars behind it's platform, the real reason it is doing it is because of the lack in market share and growth. Now, where Google should be putting its advertising dollars behind is in the tablet world. Android tablets are still lagging behind the iPad, so Google should try to place their goal on increasing the market share in that area with a new marketing strategy. We won't know how much WP sales helped, or didn't help, HTC's bottom line until the holiday season is done. But, everything I have heard is that 8X sales has exceeded expectations which means growth. The 8X does not need to outsell the One series to help propel HTC to a much better quarter then last years, or even the years before. Of course it won't- the One series is HTC's bread and butter. If it does well, HTC profits. But come on- great 8X sales can only help!! Besides, Microsoft has always advertised for Windows on PC's and for Office, both of which are HUGE successes and do not really need it. Why would WP8 be any different? I read a report says the WP sold this Quarter is 4M something and I read that HTC phones are discounted as much as $100, not a good picture. About marketing it's big difference. MS sells Windows and Office so they have to compete with OLD versions of their own products - so they have to advertise. Google and Android OEMs upgrade the gadgets for FREE so what do you think the point of adverising here is? I too wish, but that will be possible if they change their strategy of providing non-removable small (relatively) battery + No SD slot even in their top end phones. there is no need for higher resolution than 1080p full hd on 5 inches :-/ waste of recources... (maybe double that if it's a 3D screen) welcome improvements are smaller pixel spacing, full rgb arrangements, sunlight visibility, slightly faster refresh rates, texture sensing (not really a display technology) the only place i would need it is a theater film screen... that's why Samsung is right to develop phones with bendable and/or transparent displays, pico projectors... screen technology doesn't need much more improvement. "For Android, HTC is very proud of Sense, and “we’d like to continue shipping it on every device.” That may be an indicator that HTC may not be too involved in future Nexus lineups." I'm not sure if I agree with this part... The manufacturer all competes for a Nexus nomination... I'm sure HTC will continue to be interested in making another Nexus, if they have the chance, they'll do it.